The biggest tip that I can give you is to move your focus to private sellers. You may have been able to cherry pick the best deals from the MLS in the past but with the changing times if you don’t look into private sellers you may run into problems. Let's talk first about why private sellers are a great option for finding good wholesale deals. That reason is because they are harder to find. Just like most things in life, the best things are not easiest to get. People tend to go for the low hanging fruit so there isn't as much competition for these types of deals. Another reason why they are a great lead source is because of the sheer magnitude of deals out there. Now that have talked about why private sellers are a good source of leads let's talk about some ways to find private sellers. Here are two of my favorite sources in find private sellers. he first strategy is a completely free strategy that anyone can use. It's simple and really effective. Online classified sites have been used by real estate investors for years and just like the real estate market, it has changed a lot. There are many free online classified sites such as craigslist.com and backpage.com. Even eBay has an online classified section where they sell real estate. The most effective ways to use these sites are not to post ads and wait for people to contact you, it's much more effective to contact them. Almost all online classified sites have a search function where you can search all of their listings. The idea behind this strategy is to search using certain keywords to find motivated private sellers. I search daily using about 20 keywords and you can do the same. I will walk you through exactly how to do it, for this example I will use craigslist. Go to www.craigslist.org and select your city. Contact the home owners and try to work out a deal with them. It's really that simple and it works great. The next strategy is my favorite strategy for finding private sellers however it isn't a free strategy. Direct mail isn't for most new investors just starting out. It can take a while to see results and can get a little costly. Most advanced investors use direct mail as their main source of marketing for a few reasons. It's very easy to do once you understand it, it doesn’t take much time to send out, and it's very scalable. Let’s talk first about probate. Probate is when people pass away and they leave behind an estate. Sometimes the estate may have a house in it and the heirs may decide to sell it. This is by far my favorite lead type because in most cases the houses will be sold and in most cases there is quite a bit of equity. If you want to find probate lists some counties have their records online, others list them in newspapers, and in some areas you still have to go down to the court house to pull the leads yourself. Absentee owners are the next lead source I want to talk about. Absentee owners are people that own a house but the tax mailing address is at another location. In most cases this means they are a landlord. Out of state absentee owners are people that own houses in one state but live in another. This lead source is usually pretty responsive and a great place to get started when marketing to absentee owners. The next lead source is in state absentee owners. They are very similar to out of state absentee owners except they live in the same state as the property. This is a great lead type and usually there is a large amount of them in most areas. In return, making it a great way to scale your business and help you find a lot more deals. You can also get this list and many others at a website called www.Listsource.com. Now that I have shared my 4 best private seller lead sources its time for you to go out there and give it a shot. I have left you with no excuses. Everyone can use at least one of these strategies to grow their business. 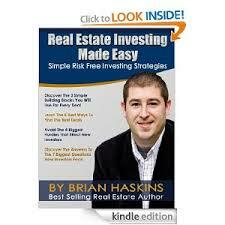 About the author: Brian Haskins is an active investor in St. Louis, Missouri and has been investing for 8 years. Brian has been able to specialize in wholesaling and automation. He has been able to automate and outsource over 90% of his business. Brian is also a published author and real estate teacher where he coaches his students to grow and outsource their real estate investing business. You can find more articles like this and get a free copy of Brian's book at here…..
What is a good # of probate letters to send out each month? I am sure the more the better but I was thinking of sending out 75-100 a month. I do not know if that is considered way too little. James – I currently have between 800-1200 names in my database at any given time. When I started out I went back about 3 or 4 months. Then as you add new names each month, your list grows. Every 6 months or so you need to check the names (a real pain) and see if they homes are sold. It’s important that you mail consistently to all your list. I mail about every 4 – 5 weeks. I shoot for 4. 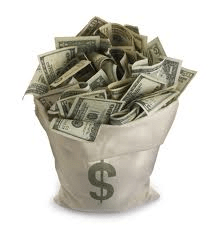 Ideally you want to send out 600-800 at least each month. Remember that 85% of your DEALS will come after the 5th mailing according to statistics. So you have to set up ongoing campaigns. Incredible information! I have attempted to post ads on Craigslist and frankly I have very little luck. I notice that, especially lately, Craigslist, Backpage, etc. seem to be saturated with We Buy Houses ads. I know from experience that this is a late night Guru tactic, rendering the practice almost useless from my perspective. I respect the information you provide, it seems to be just what I needed to hear (read), just when I needed to hear it. It’s funny, I almost emailed you yesterday myself to ask you for advice on how to spend money on marketing…something happened and the email was erased…I posted my questions in the forum, and today here I am reading the information first hand. It’s strange how things happen…I am determined to not be that new investor who begs for a hand-out. I am now energized with a new starting strategy to contact people selling their homes on these sites. also have experience pulling the probate leads from the courthouse. Here in Massachusetts it is quite the process…I will reply to your post about Probates on that topic…Thanks again Sharon! Jason – don’t be too quick to dismiss ideas. What works now, may not work in 6 months or vice versa. You just have to keep testing. Cold calling works. I have a post here from Neva Williamson on cold calling. She got a really big check. You should check it out. Just put her name in the search box. Also listen to my “Escaping the 9 to 5” videos. They will be going away soon and become a product.